I have been receiving a lot of invites from "sporty" friends to join them in a fun run but I always end up with excuses. I like walking when I was in the University since our campus is so huge and I was always on a limited budget but it's a different story for running. 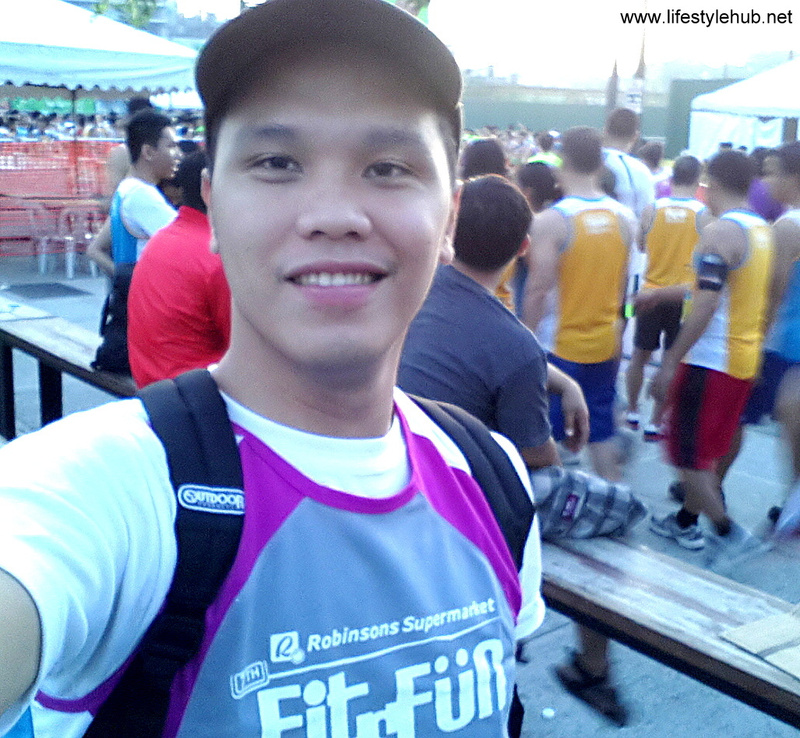 So I kind of surprised everyone when I joined Robinsons Fit and Fun Wellness Buddy Run earlier today at the Bonifacio Global City. I am not bragging about it. Let me clear about that since I did not finish the race. (LOL!) But I am a believer of baby steps. I am not getting any younger and to be healthy, I know that I have to eventually engage myself in physical activities. Running would be one of them. So, earlier's "baby steps" is nevertheless, memorable for me. 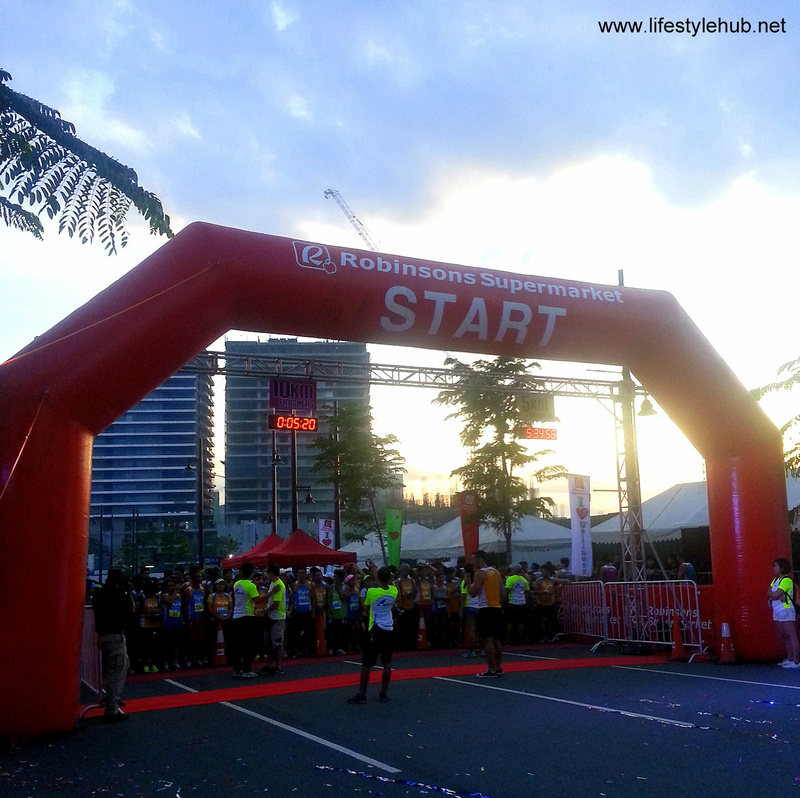 Earlier's run is Robinsons' share of promoting active and healthy lifestyle to everyone. 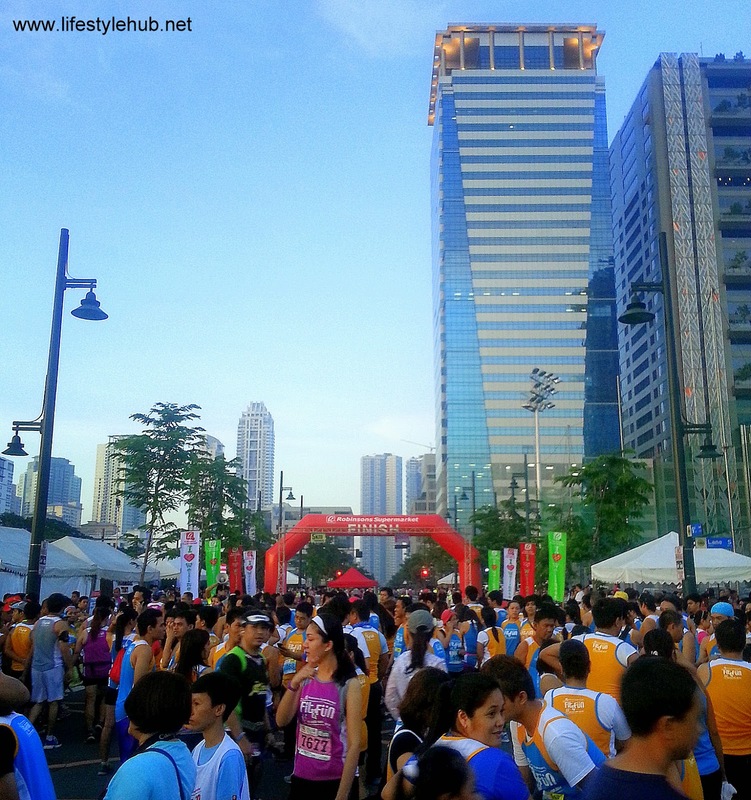 The registration for both the 5K and 10K races started as early as May 24 in 4 Robinsons malls in Metro Manila (Forum, Galleria, Magnolia, Manila) and in 2 supermarkets (BF Paranaque and Eastwood). They introduced the buddy system wherein two people must run and finish the race together. 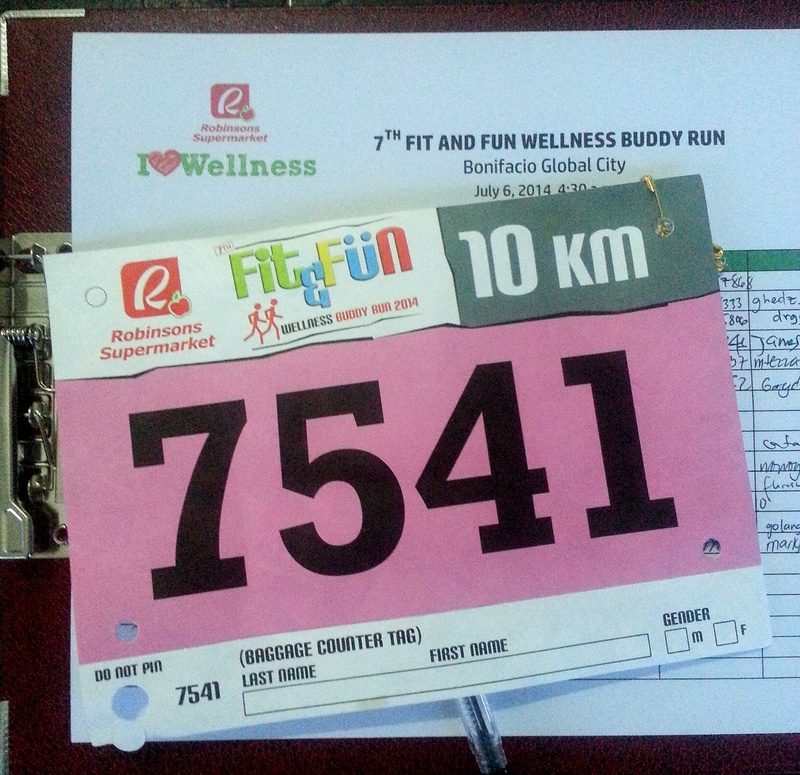 Registration for the 5K run was PhP1,200 per pair while 10K runner-pairs just had to pay PhP1,500. Aside from being healthy and spending some bonding time with your partner, the winners did not go home empty handed. First placers for the 5K run won a paid trip to Coron, Palawan with 3 days and 2 nights hotel accommodation. The other top 5 finishers in the same race took home PhP4,000 worth of Robinsons gift certificates. Bigger prizes where at stake for the 10K runners. First placers won a trip for two to Phuket, Thailand for 3 days and 2 nights. The other top 5 finishers, meanwhile, took home PhP8,000 worth of Robinsons GCs.